In 2014, IndiGo Airlines had made waves with its record $25.5 billion deal for 250 Airbus A320neo planes. Three years later, GoAir firmed up the order for 72 A320neos, estimated to be worth over Rs 52,000 crore, on the heels of a previous 72-aircraft order. These two Indian carriers are two of Airbus' biggest customers for the plane but other domestic airlines like Vistara have also shown a keen interest in these planes. So, the buzz that the government is planning to crackdown on A320 neo planes - in the wake of multiple instances of mid-air technical glitches on planes fitted with the troublesome Pratt & Whitney (P&W) engines - is a big blow to these two carriers in particular. According to The Economic Times, the aviation ministry has called a meeting today to discuss the issues plaguing the A320neos, which will be attended by airlines, engine makers and the aviation regulator. Sources in the know told the daily that the government is likely to explore the possibility of asking domestic airlines to defer induction of these planes till the defects with the engine are rectified. In addition, the meeting will also re-look at the option of grounding planes with the defective engines. 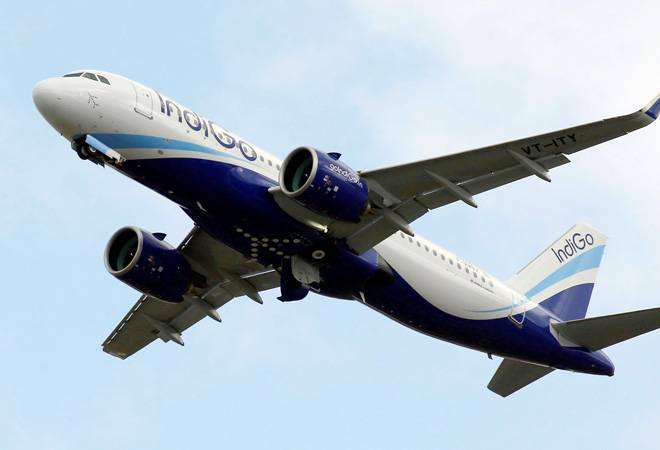 Last March, the Director General of Civil Aviation (DGCA) suddenly grounded 11 A320neo aircraft on safety concerns - eight of them belonging to IndiGo and the rest to GoAir - unleashing major chaos over cancelled flights. This is bad news for domestic airlines that have already been battered by spiralling fuel prices and a weak rupee last year. Significantly, a majority of the planes inducted by domestic carriers last year were Airbus A320neos, with four carriers, IndiGo, GoAir, Air India and Vistara, taking deliveries of more than 60 of these planes besides other types of aircraft. It is the fleet fitted with PW1100 engines from serial number 450 and beyond that have seen repetitive defects. "These engines are reporting a lot of defects and it would be best that the airlines hold induction of these aircraft. These possible situations and solutions will be discussed in the meeting, and a final decision will only be taken post the deliberations and in consultations with stakeholders. We may not decide on any of these on Tuesday itself but a decision is likely to be taken on the basis of the discussions," a source explained. The latest incident involving a P&W engine occurred on January 3 on an IndiGo Chennai-Kolkata flight. The aircraft stalled mid-air with a loud bang, reportedly followed by sparks and smoke, forcing the A320neo to return to Chennai under emergency conditions. The plane has since been grounded. While the A320neos have reportedly been facing engine problems since their introduction in India in March 2016, the safety concerns over the P&W engines have increased recently due to a spurt in the number of reported snags on aircraft fitted with them. Due to these engine issues, Airbus had last year delayed delivery of the ordered A320neos. As per the Airbus order book, till last November it had delivered only 59 of the total 280 planes on order to IndiGo. So the market leader in the Indian skies has already started tweaking its order. Less than two months ago, the carrier reportedly switched 125 of its existing Airbus A320neo jet orders to the longer range A321neo model.